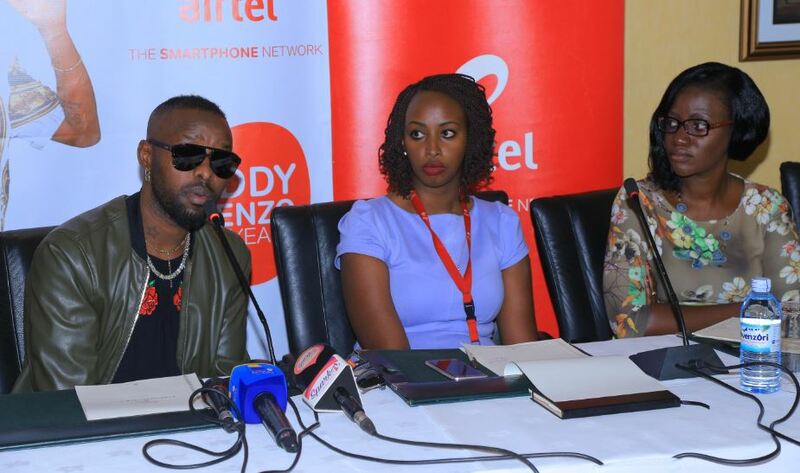 KAMPALA– Airtel Uganda has offered to sponsor the much anticipated Eddy Kenzo’s 10 years in music concert slated for Kampala Serena Hotel on January 4. Sumin Namaganda, the company public relations officer told journalists that Airtel would continue to sponsor Kenzo in his quest to export Ugandan music and culture to the world. She said the company would provide ample financial support to ensure the event’s success. “We are proud to be part of Kenzo’s journey. Over the past four years, we have seen him become a global brand and reach heights only attained by great artists,” she said. “We invite the public to come and see what Eddy [Kendo] has been doing for the past 10 years. Kenzo said he was grateful for the financial assistance he had received from Airtel since 2015 when he was appointed as the company’s brand ambassador. Over the years, the high-profile musician has built up a strong personal brand around his music. In 2017, the Kenya Tourism Board (KTB) named him as an ambassador for its #TugendeKenya and #MagicalKenya campaigns. He has also won numerous awards, including a BET and Nickelodeon Kids’ Choice awards in 2015 and 2018 respectively. In addition, Kenzo has organised a variety of community activities such as football matches aimed at raising money for charitable causes including children living with HIV/AIDS.